Today's guest post is from the very talented and sweet Danyelle from Dandee Designs. It's so perfectly up my ally! Enjoy and thank you Danyelle! 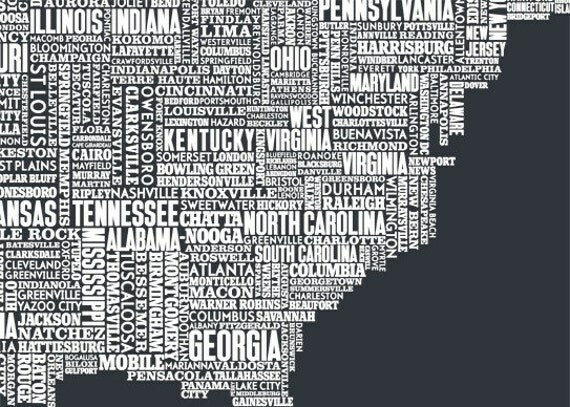 Since Kersey and crew are currently traveling across our beautiful country I thought these typography maps from Bold & Noble would make for a fitting guest post. 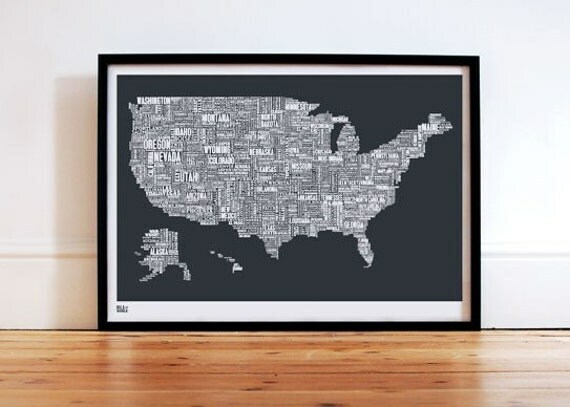 They're giving me all kinds of wanderlust + would look good just about anywhere, no? I'm thinking a spot over the fireplace sounds just about right.